Competition beware! Our professional and uniquely custom business card designs can help give your business or brand the edge you’re looking for. Like the rest of the social world, business has adapted to the digital scene. And while it’s important in this day and age to have an email address, cell phone, and social media accounts for your business, there is one time-tested printed piece that doesn’t need replacing anytime soon: the business card. 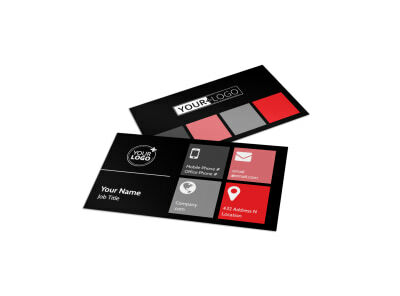 Our professional and unique business card maker allows you to create your personal way to swap contact information while leaving your brand in prospects’ hands. When to Use a Business Card? Today, it may feel more convenient to just send contact information via text, email or social media but it’s an impersonal approach to networking. You want to make a genuine connection and a business card is a great way to leave your prospect after you’ve introduced yourself and given them a quick pitch about your business. You don’t want to miss a valuable business opportunity and those occasions can happen anywhere, anytime – conferences, happy hours, airports, the grocery store, at Little League games – the list goes on. Let a business card do what it’s meant to do – continue to market you long after your parting handshake. Check out these 5 popular ideas (just to name a few) of when/where/why to effectively use a business card. One reason business cards work so well is that they give the owner a sense of preparedness. Being on the ready to dish out your contact info anytime, anywhere shows initiative. Whatever your company may be, if you have a reception desk or checkout counter, business cards are a good parting gift for customers to take your brand with them. It may sound absurd but some people even today don’t have a smart device. In which case, having a business card is the best (and only) way to pass along your contact info. No one said business cards are just for contact info. Turning your business card into a brief pitch (you don’t want to bog down the card) on your brand or business is a smart opportunity. 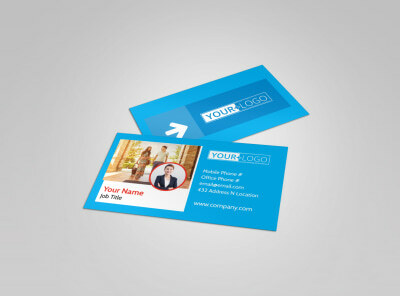 It may seem faster to exchange numbers or email addresses, but what’s faster than simply handing over a business card? The answer? Nothing. Why Make a Business Card with Us? Because we know the value of first impressions. After all, you’re getting a first impression about who we are by simply reading this page. We want to make sure your first impressions become lasting impressions. And the millions of people who have used our templates and business card maker seem to be making an impression. Take it from the experts. When it comes to your brand. Your business. Your message. There’s only one shop that’s top, MyCreativeShop.